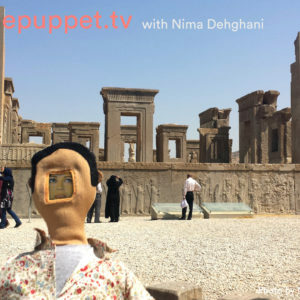 Transnational migration is to be among the most complex global issues of our time promises to only expand its scope in the coming decades. 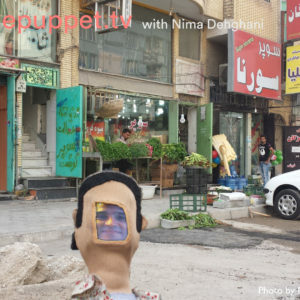 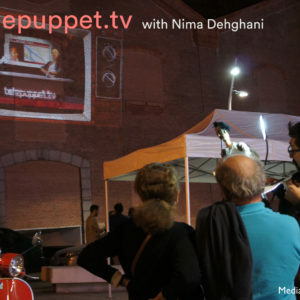 telepuppet.tv is a crowd-sourced storytelling platform that combines augmented-puppetry with on-line image sharing and urban projection performance. 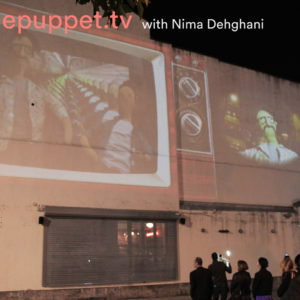 telepuppet.tv employs the technologies, idioms and aesthetics of TV News to interweave stories about the experience of immigration, with orchestration conversation and choreography in public space.telepuppet.tv works in several steps: from puppet interview, to international travel and memory re-enactment, to live puppet and projection street performance. 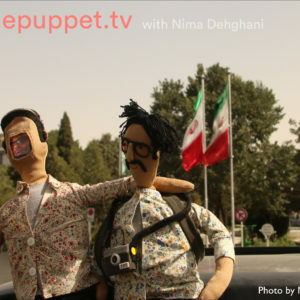 This process aims to catalog and connect experiences of immigration across time and space on our planet, and to create empathetic encounters with strangers. 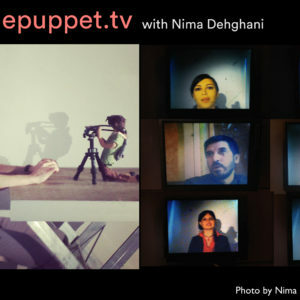 a cloud-based platform for cataloging and broadcasting stories as live streams, or edited off-line episodes. 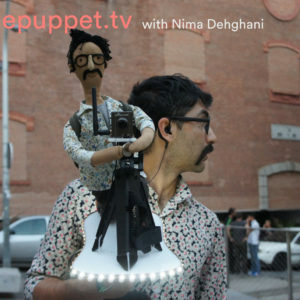 The project will be experienced as a live mobile puppet theater that uses architectural projection to share stories gathered abroad; the project will also build and ongoing Time Machine of stories, available online. 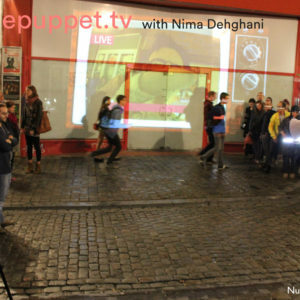 telepuppet.tv will be developed in two phases; Phase one was completed in October of 2014 with a series of live public performances in Europe. 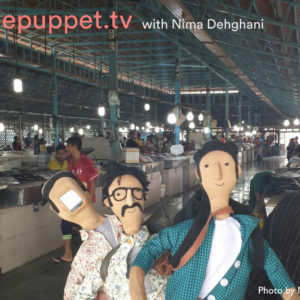 The second phase will expand the platform into a crowd-sourced ecosystem of low-cost personalized puppets that interconnects a community to a global online social network. 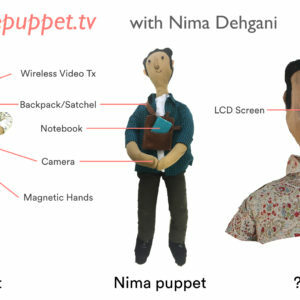 This project is collaboratively conceived by Ali Momeni and Nima Dehghani. 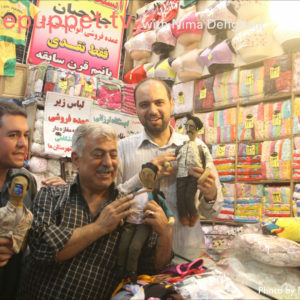 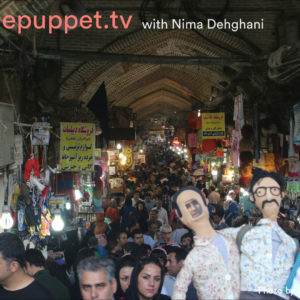 Fabric puppets constructed by Haleh Moadabian.